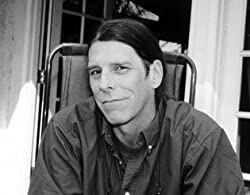 Poet and novelist Brian Francis Heffron is a staff writer/director/producer at Public Television where he creates educational programming to assist students and teachers. After getting a BFA in Writing from Emerson college, Heffron became a professional sailor, working up from deckhand to celestial navigator to delivery skipper, eventually circumnavigating the north Atlantic including a passage from St. Thomas to Gibraltar in a 37 foot sailboat. Heffron has worked in Los Angles since the early nineties as a screenwriter and TV producer/director. Since joining PBS he has won Telly Awards, Aurora Awards, Videographer Awards, Emmys, and the Davis Award. He is credited with creating the first animated web series on AOL entitled "Hollywood Nights", and he was the creative director of a software and art company that created the fifty thousand clip-art images contained within MSWord. Along the way he created a poetry life-blog in his Facebook Notes section that attracted an international audience. On Valentine's Day he published a handmade poetry chapbook, Sustain Me with Your Breath, that sold out in three weeks. It then became an ebook sensation. Heffron followed up with a one hour spoken word poetry CD entitled, "Something You Could Touch". This broke sales records in its category. Please enter your email address and click the Follow button to follow Brian Heffron!